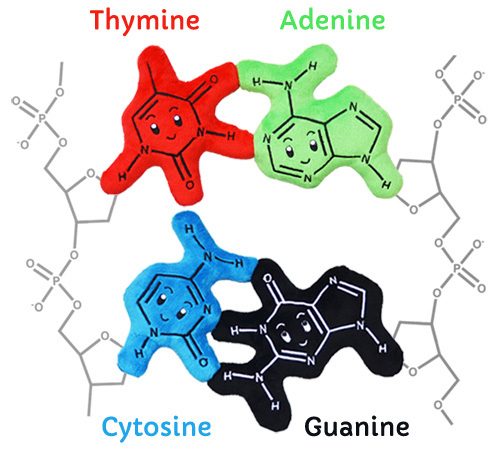 Thymine, Adenine, Cytosine, and Guanine... the four nucleotide bases that make up your genetic blueprint, DNA (deoxyribonucleic acid). 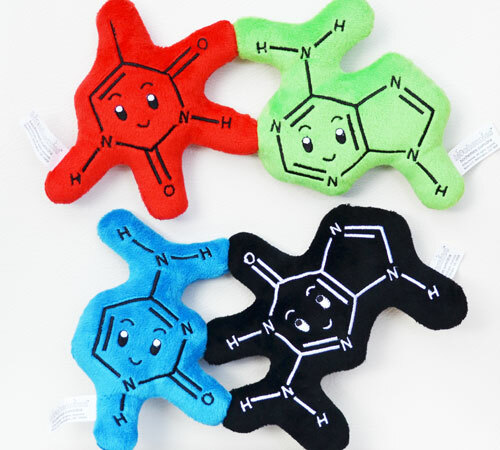 Biochemies DNA Molecule Plush Toys are magnetically-interactive happy molecules that make great desk toys, educational tools, and gifts for current and aspiring scientists. 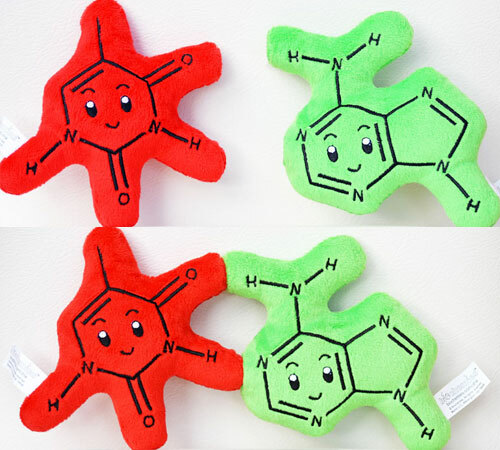 Biochemies DNA Molecule Plush Toys would not have been possible without the support of our 857 Kickstarter backers. 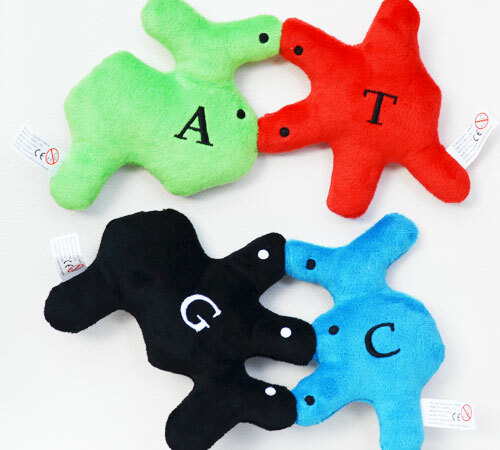 Check out these awesome people! 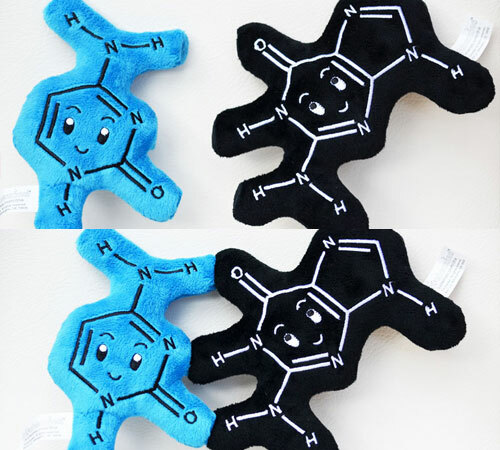 © 2009-2015 Biochemies. All rights reserved.